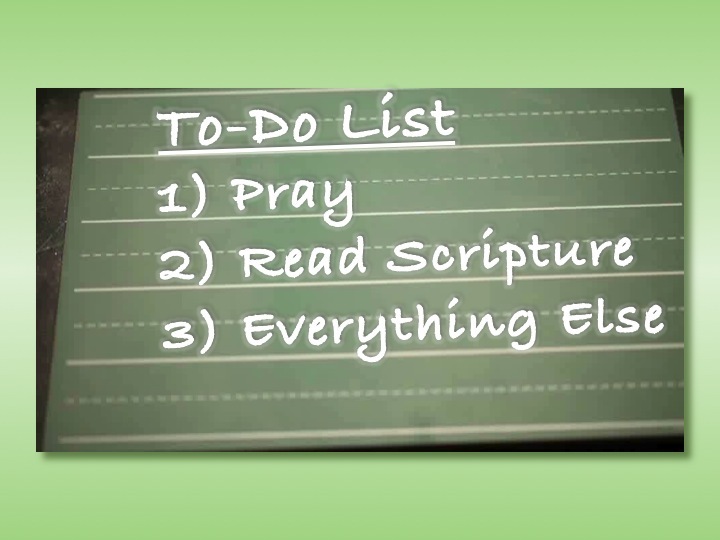 Jesus understood the necessity of putting the most important things first. In the preceding verses, Jesus spent his time healing the multitudes and casting out demons. He was a busy man. Yet, he still got up early to pray. He had to, or else the activities of the day would have totally consumed his time. Jesus knew what all great leaders and successful people know: if you have something important to do, do it first. Do it before the interruptions and the multiple demands on time. see an increase in your daily capacity to get things done. Your joy will increase. Your spiritual life will become much richer. Instead of just being busy, perhaps we can learn from Jesus, who accomplished all He needed to on earth in just three and a half years. Yesterday’s events in Boston were horrifically tragic. What should have been a scene of celebration – the finish line of an historic race – was turned into a violent reminder that enemies of our nation seek to destroy our people. What should have been a scene of victory, joy and laughter was turned into a crisis flooded with panic, tears and blood. Three people were killed and over 170 were injured. Among the dead is an eight year old boy. What did those three do to deserve death? Why was such a young child robbed of his life in its infancy? Moments such as these are extremely difficult, and questions like these are impossible to answer. Bad things happen. We live in a fallen world afflicted with constant pain and sorrow as a result of The Fall. We will never know the cause of grim events like those in Boston yesterday until we reach our final resting place and see the Glory of the Father for ourselves, but we can rest assured in the meantime that – despite any appearances – God will work good through all situations. His Word says that “…all things work together for good to those who love God, to those who are the called according to His purpose” (Romans 8:28). Our job is not to question His Word in times of turbulence; our job is to hold His Word above our circumstances, whatever they may be. Those who lost their lives beat us to paradise, and those of us who remain must do all that we can to help the people around us. So what can we do? If you are in Boston, you can volunteer to spend time with grieving families and help local churches in any way possible. You can offer housing to people stuck in the area. If you are in the Northeast, you can give blood. No matter where you are, you can pray. You need to pray. Your prayers matter. “The effective, fervent prayer of a righteous man avails much” (James 5:16). Pray for survival for victims who are still in critical condition after yesterday’s bombings. Pray for physical healing for anyone hit with shrapnel. Pray for comfort for the families of those who lost their lives. Praise God for the courage exhibited by the men and women in uniform who responded after the attack, and for everyone who works hard every day to protect our cities and our nation. Yesterday happened, and we cannot undo it. But we can pray for our cities. In Genesis 18:16-33, Abraham gives us a stunning example when he intercedes for Sodom. He pleads with God, asking, “Would You also destroy the righteous with the wicked? Suppose there were fifty righteous within the city; would You also destroy the place and not spare it for the fifty righteous that were in it?” (v. 23-24) In response, God promises protection for Abraham’s loved ones. As a result of Abraham’s plea, God stays his hand against the city of Sodom and affords protection to all the righteous within its borders. We must plea with our God and ask Him to protect the righteous in our cities, knowing that we are Abraham’s seed (Gal 3:29) and promised the same audience he was given. In Psalm 91, God tells us not to fear terror and promises protection to His children. Pray for our cities, and pray for peace. 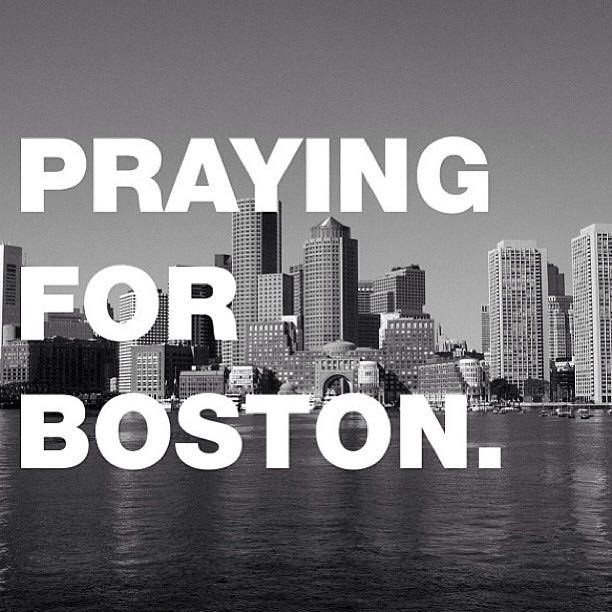 Pray for Boston. 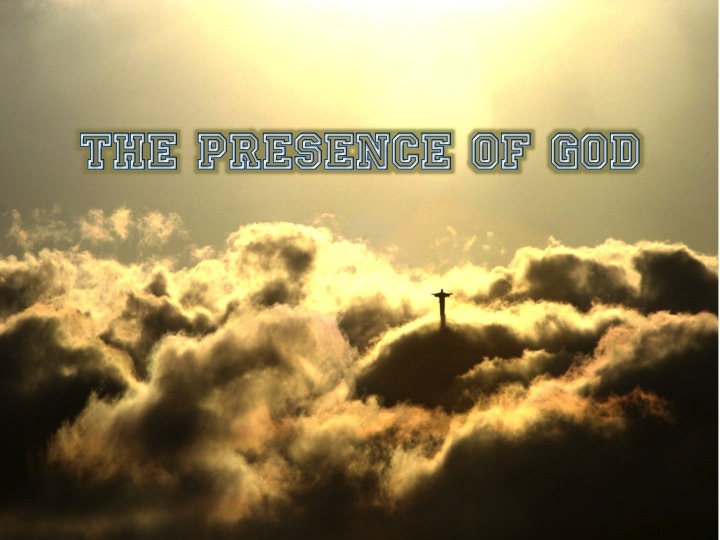 God’s Presence. Why do we need it? How do we get in it? We all need the Presence of God, because if we do not have it we cannot succeed (Psalm 78:60-62). If you don’t think you need the Presence of God, let me ask you this: is there anything you are trying to achieve in your life – any relationship, job or situation you are trying to improve – that just isn’t working? Are you sure God is in it? Have you prayed about it and really sought out His Will for the situation? Have you spent time in His Presence seeking to know the outcome He desires, instead of crafting your own solutions to life’s problems? Moses always sought God’s Will for any situation in which he found himself. In Exodus 33:18, Moses asked God: “please, show me Your glory.” He would not even go into the promised land without making sure that God’s Presence was with His people. Moses was a man who prayed with power, and we must follow his example if we seek to impact our surroundings through prayer. When Moses spoke, rivers turned to blood and Pharaoh fell to his knees. What do we gain by being in the Presence of God? 1) Freedom. 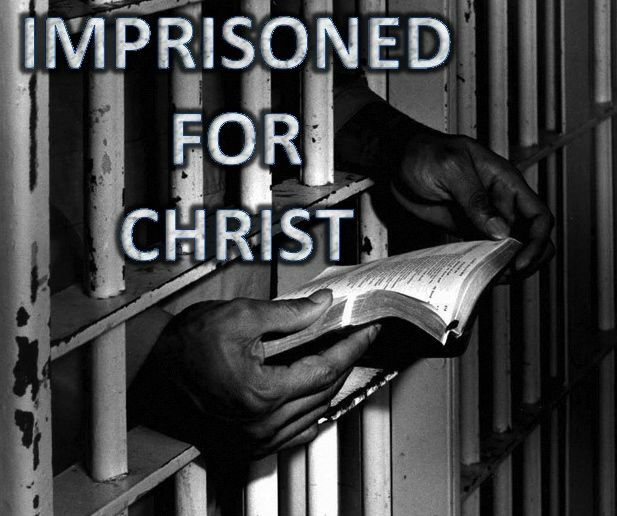 A relationship with Jesus is the only way to conquer sin and death and achieve true freedom. 2) Healing. When the Lord taught the disciples how to pray in Matthew 6, He told us to ask for God’s Will to be done on earth as it is in heaven. There is no sickness in heaven. If we spend time in His presence, sickness has no choice but to leave our bodies. 3) Communion. Daily communication with God is essential. Who plans your days – God, or you? Let Him plan your days, and watch the difference it makes in your life. 4) Natural order is re-established. In Genesis 2, God created the Garden of Eden with us in mind. We are naturally designed to walk and talk with God. So what keeps us from spending time in His Presence? Maybe some of us don’t have time to devote to prayer and worship. Maybe some of us don’t even know what we’re missing when we don’t take time to pray and worship. But we all have one thing in common. We are all sinners (Romans 3:23). Every single one of us, Christian or otherwise, is a sinner. There is no getting around it, and God does not allow sin in His Presence. So how can we confront it? Jesus Christ. Jesus lived a perfect, sinless life; and He lived it for you. When we accept Him into our lives, His righteousness is attributed to us, and our sin is imputed to Him. This is all made clear through one piece of cloth: the veil. When Jesus died on the Cross, Matthew 27:51 says that the veil was torn. The veil in the temple at Jerusalem separated the Presence of God from His people. In the Old Testament, the only man allowed access to the Presence of God was the high priest, and that access was only granted on the Day of Atonement after meticulous preparation and sacrifice. But the Cross changed all that. When Jesus died, the veil was torn. From top to bottom. From heaven to earth. The barrier between God’s Presence and His people was annihilated. We can now seek Him at all times. When can now experience His Presence at all times. When Jesus died on the Cross, the whole nature of our relationship with God changed. The Cross makes us priests (Rev 1:6), and the benefactors of a covenant relationship with the King. We are made witnesses to things which even angels long to gaze into (1 Peter 1:12). We enjoy a relationship with God that Old Testament prophets sought after (1 Peter 1:10) but could not attain because the events on Calvary had not yet taken place. We are the unworthy recipients of everything God’s people have reached for since the beginning of mankind. We should thank God for our tremendous position of privilege every day. We live in an incredible period of history where every man and woman who calls Jesus Lord can enjoy time in His Presence daily. We can, and should, build our relationship with our Creator daily through worship and prayer. Paul told the church at Thessalonica to rejoice always and pray without ceasing (1 Thess 5:16-17). Jesus, through Paul, is telling His church to worship and to pray. There is a time for corporate worship and a time for personal worship. We should practice them both. There is a time for corporate prayer and a time for personal prayer. We should practice them both. Make time for God. Spend time in worship and prayer. Spend time in His Presence and watch Him transform your life.